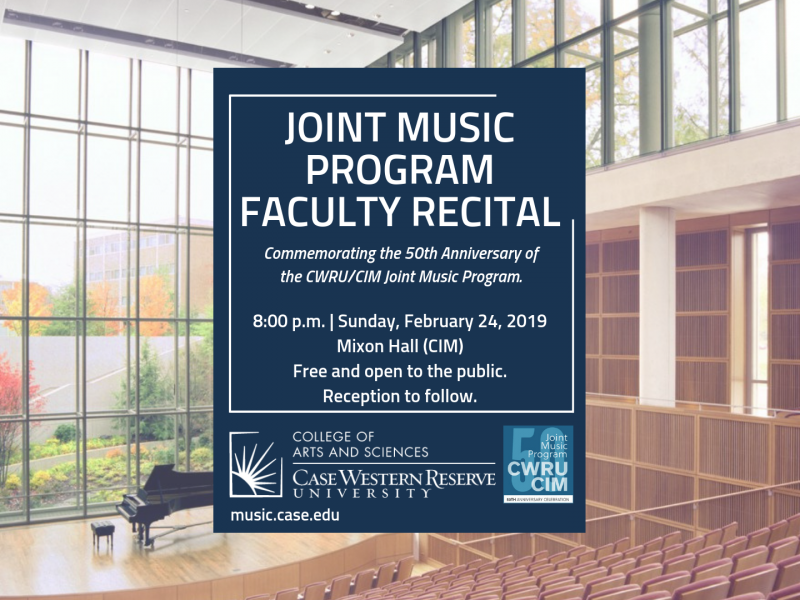 This recital commemorating the 50th anniversary of the CWRU/CIM Joint Music Program will feature several of our acclaimed JMP faculty members. Presented by the Music Undergraduate Involvement Committee (M.U.S.I.C.) of the Case Western Reserve University Department of Music.